Lisbon Portugal Guide - Fully Updated for 2019! Lisbon is the stunning capital city of Portugal, and is one of the most charismatic and vibrant cities of Europe. 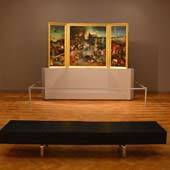 It is a city that effortlessly blends traditional heritage, with striking modernism and progressive thinking. As a holiday destination, Lisbon offers a rich and varied history, a buzzing nightlife and is blessed with a glorious year-round climate. This guide will provide an introduction to Lisbon, by answering some of the common holiday questions and providing links to further in-depth information. So why visit Lisbon and Portugal? Lisbon is a bustling and exciting city, that boasts a wide choice of activities and fascinating tourist attractions. The city has a welcoming and liberal atmosphere, while still embracing its deep-rooted heritage and extensive history. Lisbon will appeal to a diverse selection of ages and tourists; it can form a cultural trip, a nightlife extravaganza, a family holiday, a relaxed city-break or even as a base for a beach holiday. The Portuguese capital is constantly recognised as one of the greatest cities in the world, a claim confirmed by the “Lonely Planet Guides", who named Lisbon one of the world’s top 10 cities. Surprisingly, Lisbon is still one of Europe’s least visited capitals, but this is rapidly changing as new visitors discover the allure of Portugal. How long to spend in Lisbon? Lisbon takes around three days to discover and is the ideal destination for a weekend city-break. 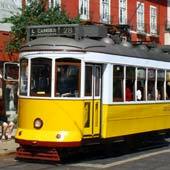 A holiday to Lisbon could be extended to seven or ten days to include all of the enjoyable day trips in the surrounding region (all of which can be visited using public transport). Lisbon extends over seven steep hills; expect a lot of uphill walking! 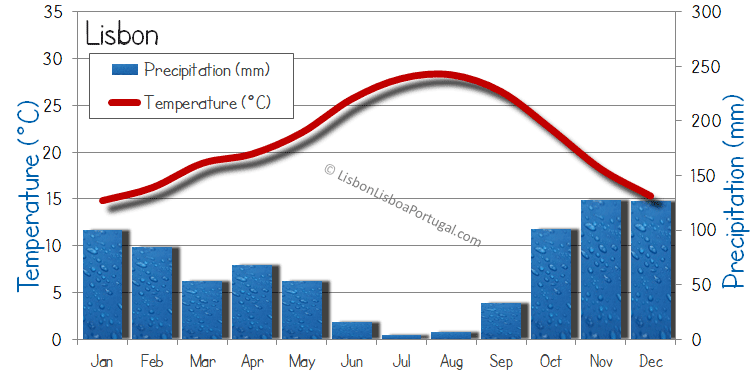 Lisbon has hot dry summers, pleasant springs and autumns, and mild, but possibly wet winters. The best time of year to visit Lisbon is in the late spring (May-June) when the days are bright and sunny, but the temperatures are not so high. The peak season is between June and August, and if you visit at this time of year, you should expect the city to feel crowded. The weather is suitable for spending time on the beach from May until the end of September. There can be a significant amount of rain during the winter months (November - February), but the city offers many activities for a wet day. 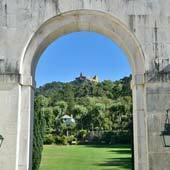 Lisbon attracts visitors year-round, and tourist attractions remain open for the whole year. 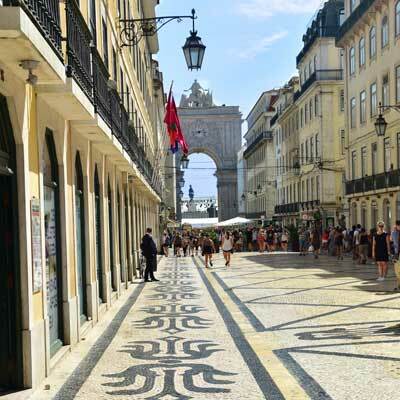 If this is your first visit to Lisbon, it is recommended to be based close to the historic centre; this covers the districts of Baixa, Chiado, Bairro Alto, Alfama and the Avenida da Liberdade. 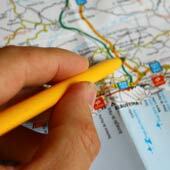 These areas are popular with tourists and are within walking distance of the main sights and attractions. Bairro Alto and Cais do Sodre are the nightlife districts and are ideal if you wish to party, or are part of a stag/hen do. Alfama is an ancient and characterful district, but the narrow steep streets can be very draining in the summer heat. 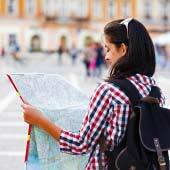 The Mouraria district and the Avenida Almirante Reis provide cheaper options for backpackers and budget travellers, but this area is not a place we would recommend our parents to stay. 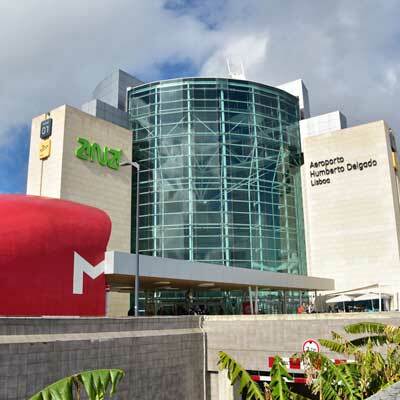 If you are a business traveller, consider being based in Parque das Nações district, which contains many modern business hotels and is close to the airport. 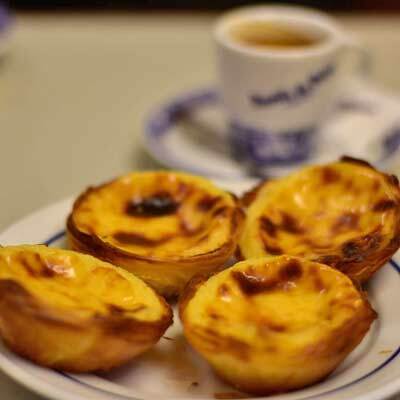 Portugal is famed for it’s delicious pastries, cakes and strong coffee! After many years of being overlooked, Lisbon has been finally discovered by mass tourism (with journalist, influencers and bloggers constantly endlessly singing its praises). Now there is a flurry of excitement about Lisbon, and the city is expecting a sell-out 2019 summer season. If you are planning to visit during these peak months (May-Sep) it is strongly recommended to book accommodation and flights well in advance, as the demand outstrips supply. 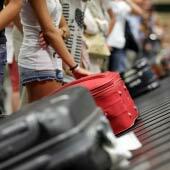 Due to the popularity of Lisbon, last minute deals on flights or accommodation are very rare. 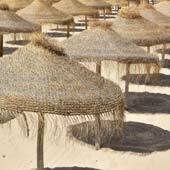 For a selection of the best hotels in Lisbon please see Booking.com. 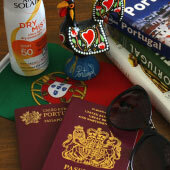 Are there beaches close to Lisbon? 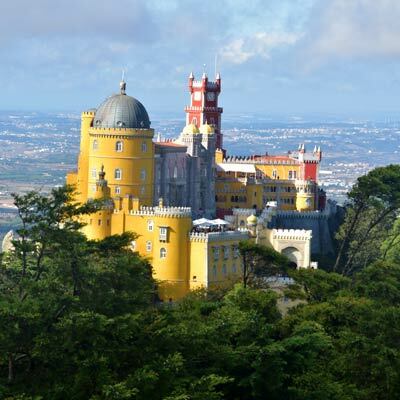 Lisbon is close to a stunning coastline of beautiful sandy beaches and dramatic natural scenery, and many of the region’s finest beaches are only a short bus or train ride away. There are two sandy coastlines easily accessible from Lisbon; the Cascais-Estoril coastline (to the west of Lisbon) and Costa de Caparica (to the south of Lisbon). Slightly further (and needing a rental car to visit) are the wild beaches of the Serra de Sintra coastline and the paradise beaches of the Serra da Arrabida. Our Opinion: The beaches of the Lisbon region are as just as beautiful as the Algarve, there is no need to travel hundreds of miles to find beautiful beaches. 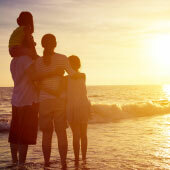 Is Lisbon suitable for children and families? 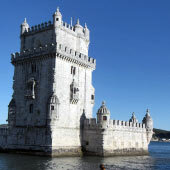 Lisbon is good choice for a family city break or holiday. 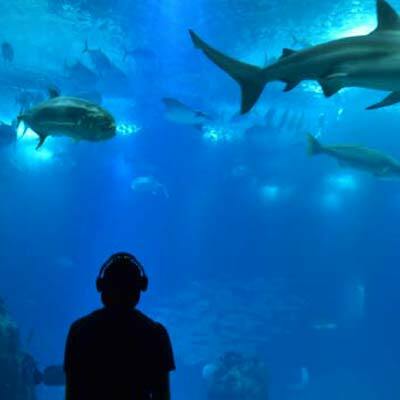 Within Lisbon there is a wide selection of children friendly tourist attractions, including the outstanding Oceanarium, the colourful trams, and Lisbon Zoo. The Portuguese have a family-focused culture and young children are welcome everywhere, and this includes most restaurants. 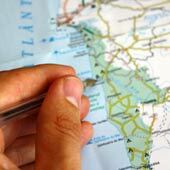 What are the popular day trips from Lisbon? 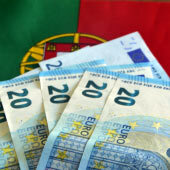 Is Lisbon and Portugal an expensive destination? Lisbon is one of Europe’s least expensive capital cities, and offers exceptional value for food, drink and public transport. Entrance fees to historic monuments are sensibly priced, but gimmicky tours (Tuk-tuks, open-air buses) are relatively expensive. Once flights and accommodation have been paid for, the cost of the holiday greatly depends on the amount of activities, sights or nightlife partying, you wish to do. Overall, Lisbon provides a good value holiday destination, but accommodation and flights should always be booked well in advance to secure the lowest prices. Lisbon Airport is the main international airport of Portugal and provides direct connections to all major European cities and many of the world’s largest cities. The airport itself is conveniently located within the city limits, and onward travel is extremely easy by taking either the metro or the Aerobus bus service. The airport has undergone a major expansion with the construction of a new terminal building, and this handles all of the departures (not arrivals) for the low-cost airlines. Terminal 2 is very basic, with lots of standing around in long queues, and is only connected to the main terminal building by a limited bus service. Compared to many other major cities Lisbon is a comparatively safe city. The only issues tourists may experience is from pick-pockets or opportunistic thieves, but you should have no issues if you use the same common sense that you would use back at home. 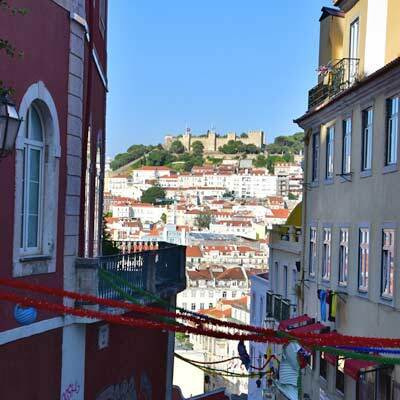 Related articles: Is Lisbon safe? Will Language be an issue? 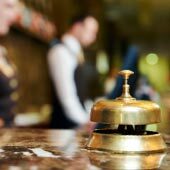 English is widely spoken by all of those who work within the tourist industry, and tourists who only speak English will not encounter any language barriers during the duration of their holiday. All transport hubs have English as their second language and this includes railway, the metro and the airport. Should I rent a car while in Lisbon? Lisbon has an excellent and inexpensive public transport network and a rental car is not needed for a holiday in this region. Driving in Lisbon can be stressful demanding due to the erratic driving of the Portuguese, the poor traffic markings and the heavy traffic. Parking is also very limited and expensive. 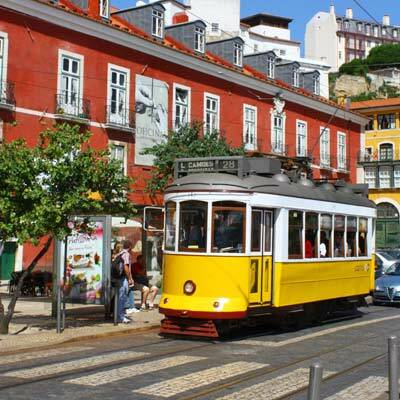 A rental car is not needed to visit the popular day trips (Sintra, Cascais, Sesimbra or Mafra) as there is an excellent and inexpensive public transport network. 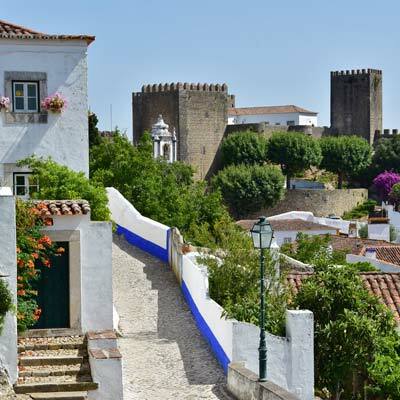 However, a rental car can be useful when exploring further from Lisbon and into regions with limited public transport, such as the Serra da Arrábida, the Serra de Sintra or the Alentejo region.